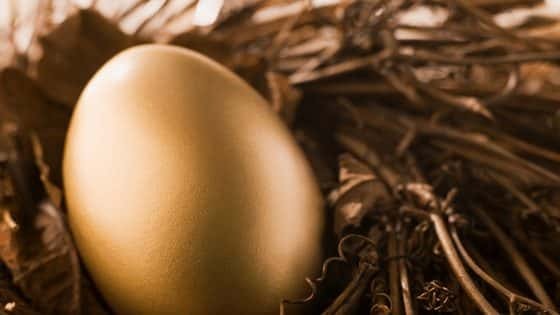 Self-managed superannuation funds (SMSFs) are a popular option for investors seeking greater control over their retirement savings. However, the decision to establish an SMSF should not be taken lightly. Whether a self-managed super fund is suitable for you will depend on your needs and circumstances and whether you are willing to take on the responsibility of running your own super fund. Self-managed super funds are superannuation funds which are established and operated by the members of the fund. Under the superannuation rules, the members of an SMSF are generally required to act as a trustee of the fund or as a director of the fund’s corporate trustee, and are legally responsible for managing the fund in accordance with a strict set of legal requirements. arrange for the fund’s financial statements and reports to be prepared and audited each year and for the SMSF annual return to be lodged with the ATO by the due date each year. Trustees are also required to sign a declaration confirming that they know and understand their legal responsibilities within 21 days of becoming a trustee. A copy of the declaration, along with a range of SMSF videos and guides to help you understand your trustee duties and responsibilities, is available on the ATO website at www.ato.gov.au/superfunds. implement estate planning strategies tailored to their specific needs and circumstances. What are the costs of an SMSF? Another potential advantage of SMSFs is that they can potentially be more cost effective when compared to large super funds. However, this very much depends on how involved the members are in managing their fund, the level of the fund’s assets and the costs of running the fund. For example, in 2013 the Australian Securities and Investments Commission published a report that found SMSFs with assets of between $200,000 to $500,000 will only be cost-competitive where the trustees take on at least some of the administrative duties while SMSFs that outsource all of their trustee duties to service providers will need assets of at least $500,000 to be justified from a cost perspective. annual administration and reporting costs – including annual accounting, tax and auditing costs as well as the cost of preparing and lodging an annual SMSF return with the ATO. As a trustee you will be legally responsible for the fund and can be held personally liable for any penalties should the fund fail to be maintained in accordance with the strict legal requirements. See below for more information on penalties. As a trustee of an SMSF you will be responsible for investing the fund’s assets yourself. Therefore, you will be relying on your own investment skills and knowledge rather than those of a professional investment manager. Insurance cover for members may be more difficult or expensive to obtain in an SMSF compared to a large fund as members may not be able to access the benefits of group life insurance arrangements, such as wholesale premium rates and automatic acceptance of cover. Any disputes in relation to an SMSF are not able to be resolved by the Superannuation Complaints Tribunal and may need to be resolved via legal action. It is also important to note that any change in member circumstances can have an adverse impact on an SMSF and can result in a fund needing to be wound-up. This in turn could trigger additional costs and taxes being and result in the loss of any concessional tax or social security treatment that may have applied to the members’ interests in the fund. a member ceasing to be capable of acting as trustee due to age or health related issues. Therefore, it’s important to have an exit strategy which could help you to exit and wind-up an SMSF should the need arise. whether your individual needs and circumstances may indicate whether an SMSF may not be suitable. no trustee or director of the corporate trustee can receive any remuneration for any trustee duties performed in relation to the fund. An SMSF can also be established with a single member. In this case, the fund must have a corporate trustee or a second person must be appointed to act as a trustee of the fund. simpler succession and administrative requirements where there is a change in fund membership. the trustee must invest and maintain the fund’s assets for the sole purpose providing benefits to members upon their retirement (or attainment of a certain age) or their beneficiaries if a member dies. You as a trustee will be required to comply with these rules at all times. Any breach of these requirements can result in significant compliance and tax penalties being applied. the need to hold insurance to provide cover for the members of the fund. When formulating and implementing an investment strategy you need to pay special consideration to the level of diversification of the fund’s assets as it can help reduce investment risk. All investments must be in accordance with the fund’s strategy. the availability and affordability of the required level of insurance cover having regard to their current circumstances and their retirement expectations. It’s important that trustees comply with this requirement and document their decision in the minutes of a trustee meeting. Failure to properly consider this issue could result in members being under insured and expose the trustees to claims for compensation should a member, or their beneficiaries, suffer a loss as a result. Trustees must regularly review the fund’s investment strategy to ensure it remains appropriate for the fund on an ongoing basis. This is particularly important where members are approaching retirement as their needs and circumstances are likely to change. Trustees should also review the fund’s investment strategy whenever there is a significant change in the fund’s circumstances. This could include where a member retires and commences an income stream or in response to any changes in macro-economic conditions. to keep certain fund records and reports for specified periods of time. taking legal action against trustees in which case a judge can impose civil and criminal penalties of up to $1.7 million and/or 5 years imprisonment. It is therefore vital that trustees understand their obligations and comply with them at all times. How your self-managed superannuation fund is regulated. a solicitor to assist with any trust deed / estate planning requirements. Important information This document has been prepared by Count Financial Limited ABN 19 001 974 625, AFSL 227232, (Count) a wholly-owned, non-guaranteed subsidiary of Commonwealth Bank of Australia ABN 48 123 123 124. ‘Count’ and Count Wealth Accountants® are trading names of Count. Count is a Professional Partner of the Financial Planning Association of Australia Limited. Count advisers are authorised representatives of Count. Information in this document is based on current regulatory requirements and laws as at 1 September 2015, which may be subject to change. While care has been taken in the preparation of this document, no liability is accepted by Count, its related entities, agents and employees for any loss arising from reliance on this document. This document contains general advice. It does not take account of your individual objectives, financial situation or needs. You should consider talking to a financial adviser before making a financial decision. Should you wish to opt out of receiving direct marketing material from your adviser, please notify your adviser by email, phone or by writing to us.